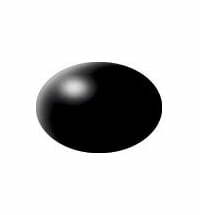 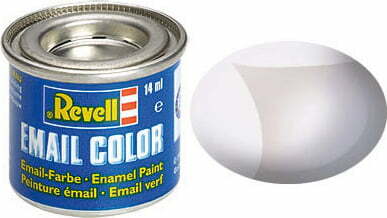 Revell Enamel Color is a resin enamel paint that does not damage the plastic surface of plastic models. With the hobbyist's popular 14 ml paint can many different materials can be painted. All shades except signal colour are miscible and can be diluted with Revell Color Mix. So the paint can be applied not only with a brush, but also with a spray gun too. 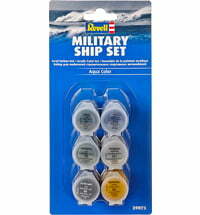 Revell Painta Clean for the brushes and Revell Airbrush Clean for the spray gun are used as cleaning agents.